Located on Worth Avenue since 1989, A.B. Levy Gallery boasts the one of the finest selections of antiques and original decorative art objects in the United States. Displayed in a grand gallery space of more than 15,000 square feet, these rare art objects also comprise the country's largest selection of in-stock René Lalique glass, and a superb collection of original art glass by Galle, Daum, and Tiffany - including an impressive assortment of Tiffany lamps. If 19th century antiques are your passion, we offer a fantastic selection of furniture, candelabras, clocks, vases, and many other works of art from this exciting period. Should your tastes run to fine art, we present beautiful works by renowned La Belle Epoque painters and sculptors, as well as masterpieces by reputed turn-of-the-century artists. For collectors of fine silver, our impressive 19th and 20th century selection is unparalleled anywhere in the world and features estate silver tea sets, flatware and candelabras. From our monumental Grande Horloge bronze figural pedestal clock designed by Frederic-Eugene Piat - to our fine Ormolu, Amaranth and Jasperware Porcelain Gueridon by Francois Linke. A.B. 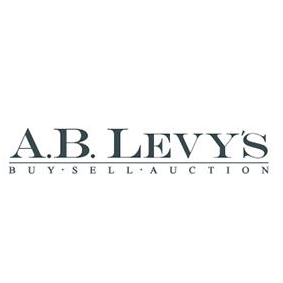 Levy Rare Antiques & Fine Art dazzles the senses with its vast array of fascinating collections.